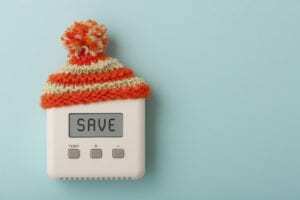 During the chillier months, you have two conflicting goals: keeping your home nice and warm, and saving money on energy. Implementing the following smart strategies can help you avoid wasting energy and money, without sacrificing home comfort. 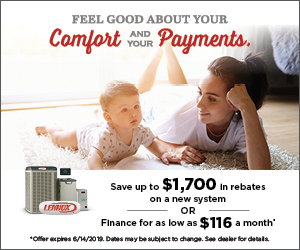 The U.S. Department of Energy (DOE) advises homeowners that using their programmable thermostat can trim HVAC-related household energy consumption by as much as 10 percent annually. To reap the greatest savings, you should schedule 10—15-degree setbacks of eight hours, or more. With well maintained HVAC, it takes less energy to maintain the temperature you set on the thermostat, so you’ll pay lower energy bills. Scheduling a professional heating system tuneup can also help prevent unexpected mid-season equipment breakdowns, and ensure that all the components are operating safely. Leaky ductwork that lacks insulation can waste up to a third of your HVAC system’s heated air output. Having the accessible ducts sealed and insulated can curb these losses, so you save energy and enjoy greater comfort. Because warm air always rises, running your ceiling fans in reverse can help heat your home more efficiently. Simply adjust the blade direction switch so they turn clockwise and choose the slowest speed setting, and the fans will draw cooler air up from floor level, and push warm air down into your living space. Heat migrates until it reaches an equilibrium, so when it’s colder outside, it will escape through every available leakage point in your home’s exterior shell. Sealing up cracks and gaps around the windows, doors, and penetrations through the shell will keep more warmth inside. Cold air doesn’t hold moisture well, so running the heater can make your indoor air too dry. By humidifying your home to match the outdoor temperature, you can dial back the thermostat setting a few degrees, and feel more comfortable too. For more ways to keep your Orlando-area home warm this winter while saving money, contact us at Rinaldi’s Energy Solutions.